Our government may not work quickly, but in some cases it eventually gets around to something useful and important. Eight months ago, I ordered composer Johanna Beyer’s passport records from the State Department. (Since she died seventy years ago, in 1944, these documents are a matter of public record.) Last week, to my surprise, I received a registered envelope from U.S. Passport Services with a facsimile scan of two passport applications filed by Beyer: one in 1930, and the other in 1935. 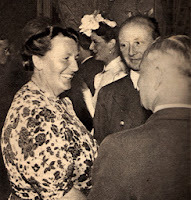 Beyer (1888–1944) traveled back to her native Germany in those years to visit her mother in Leipzig and to do musical work in London. She had emigrated to New York in 1923 and was naturalized as an American citizen on 24 January 1930. Finding new primary sources after so many years of searching is particularly exciting—the detective in me gets great satisfaction out of finding new clues. But these documents are made even more valuable because they contain two new photographs of Beyer. Up until now, we have only had one photograph of Beyer: a dramatic, black and white, sideways, semi-profile shot found by musicologist Melissa de Graaf in the Composers-Forum Laboratory archive at the National Archives and Records Administration in College Park, Maryland. Other photographs existed at one time, but have not been found: a close friend writes in her diary of a photograph taken of Beyer and her niece in front of the Library of Congress in July of 1928 while the two women were on holiday in Washington, D.C., for example. If only I could locate it. The newly surfaced photos are striking. They reveal the steady gaze of a 41- and 46-year-old woman, respectively. The 41-year-old Beyer still looks young: her short hair is dark, and she wears a long, flapper-like bead necklace and a scooping V-neck blouse. The contrast with the later photograph is almost shocking. 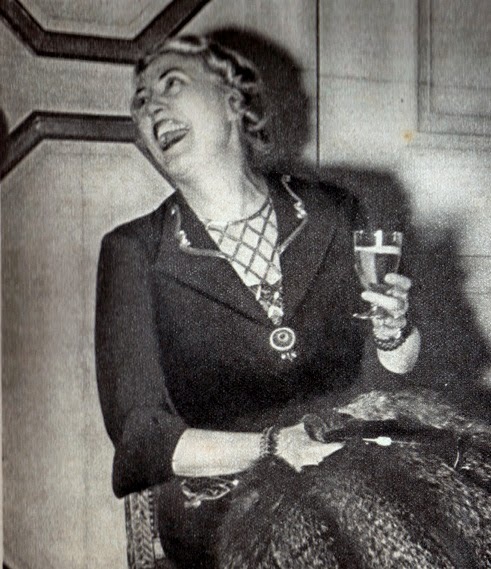 In a mere five years her hair appears to have gone completely gray (on the 1935 application itself she lists her hair color as “brown-gray”). The corners of her mouth appear to be a little more down-turned. Unlike the earlier photo, she is looking slightly to the left of whoever was taking the photo, an indirect glance that makes her seem a little uneasy. The profile photo has always troubled me. It is dark, and her sunken eyes are obscured. The severity and drama of the image has helped reinforce a long-handed-down assumption that Beyer was harsh, cold, difficult, shy, awkward, lonely, depressed, and isolated. In fact, for much of her life, and before the onset of the illness that killed her, she appears to have been none of those things. The new photographs allow us to imagine a woman in the middle of her life, a life vibrant with friends, music, work, books, travel, entertainment, restaurants, theater, political activism, interest in global affairs, piano students, and, last but not least, her gradual discovery—and then enthusiastic cultivation—of herself as a composer. Beyer’s passport photos are reproduced below. Amy C. Beal is professor of music at the University of California, Santa Cruz, where she is director of the Contemporary Music Ensemble. Her research explores the history of American experimental music.She is author of New Music, New Allies—American Experimental Music in West Germany from the Zero Hour to Reunification (University of California Press, 2006); Carla Bley (University of Illinois Press, American Composers Series; 2011); and Johanna Beyer (University of Illinois Press, American Composers Series, forthcoming). 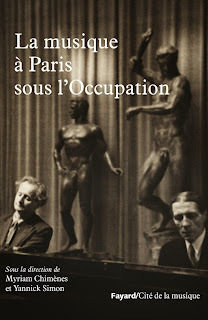 Even if you don't read a word of French, find and peruse a copy of this book for the pictures. 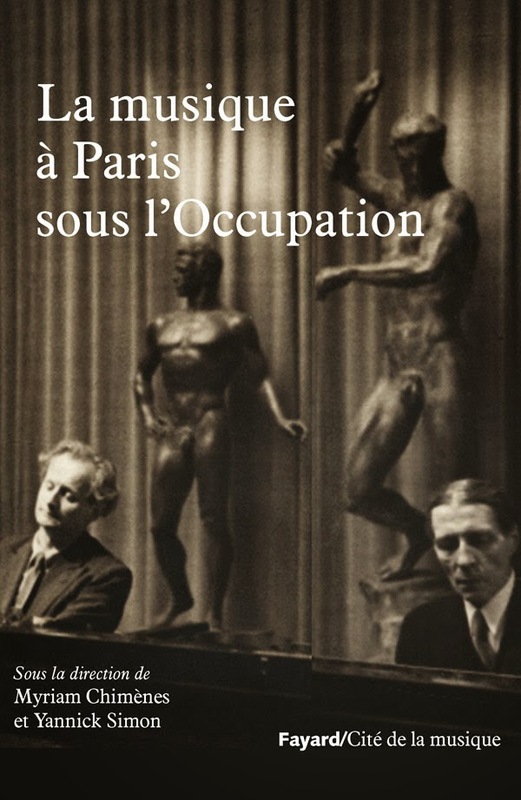 La Musique à Paris sous l'Occupation (ed. 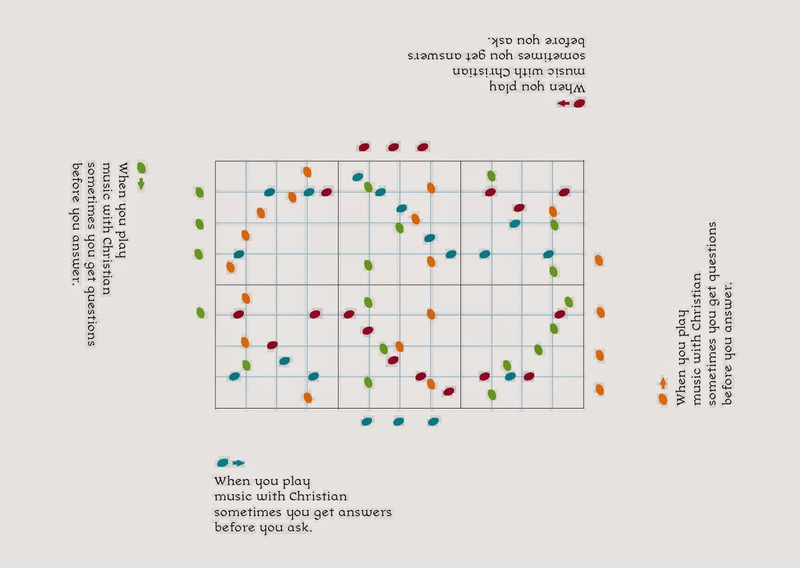 Myriam Chimènes and Yannick Simon, Cité de la Musique / Librairie Arthème Fayard, 2013) presents the contributions to a colloquium of the same name that took place in Paris, 13–14 May 2013—spoken version to book form in about six months. In some respects this constitutes a sequel to the precedent conference and widely admired book La Vie musicale sous Vichy (ed. Chimènes, 2001, rpt. 2004). But the impressive extent and depth of the research ("scientific research," the French would say), documentation, and analysis of musical life in occupied Paris that has taken place in the dozen years separating the two conferences took me by surprise: all the periodicals scoured cover-to-cover, hundreds of archives—the Radio, the embassies, the concert societies—plumbed, pictures and recordings galore. 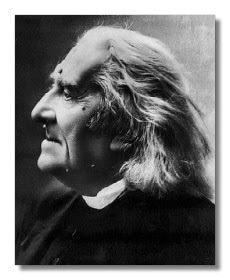 Many of the twenty or so contributions were, to a greater or lesser degree, eyebrow raising, perhaps most notably Yves Balmer and Christopher Brent Murray's reconstruction of Messiaen's activities in 1941, correcting the composer's liberally decorated accounts of his imprisonment and repatriation (and, thus, the history of such works as Visions de l'Amen). And, to no one's surprise, the polemics over wartime behaviors are far from done: the cases of Florent Schmitt and Jacques Chailley, for instance, remain the focus of sometimes heated debate. La Semaine, 5 June 1941. German Consul General, same party. D. Kern Holoman is curator of Musicology Now. near Poggiolo farm, Pozzuolo, Umbria, Italy. 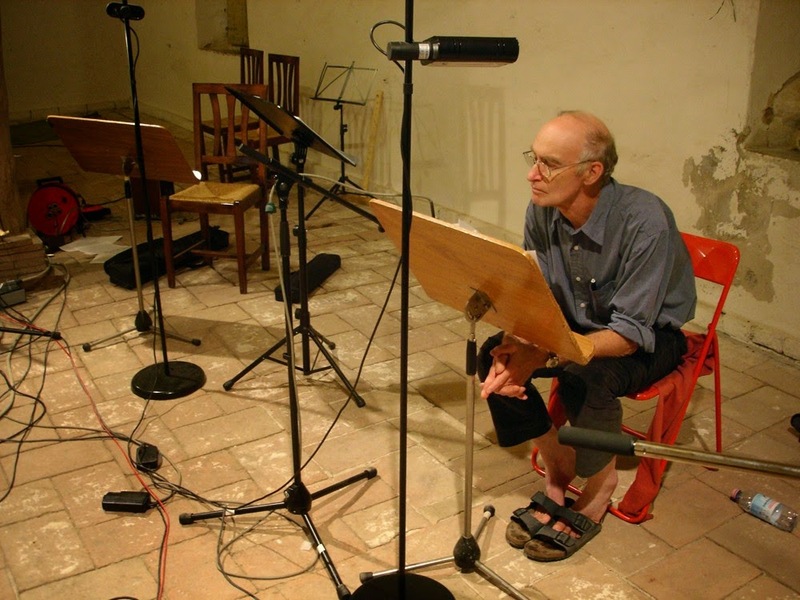 I most recently saw Christian Wolff this last February, just three weeks before his eightieth birthday, which arrived on March 8th. Apparently neither impressed nor intimidated by the looming milestone, he spent much of the weekend shoveling massive amounts of snow at his houses in Hanover, New Hampshire and Royalton, Vermont. (No resting on his laurels for this hearty New Englander!) These days, moving regularly between those two properties, Christian divides his time between helping out on the family sheep farm, sorting through and cataloguing his extensive and historically significant personal archives, traveling the world in high demand as a performer, speaker, and celebrated guest, and somehow finding a few quiet hours each day to compose new work. He clearly inherited John Cage’s uncompromising work ethic. He also likes to watch the Yankees on TV. 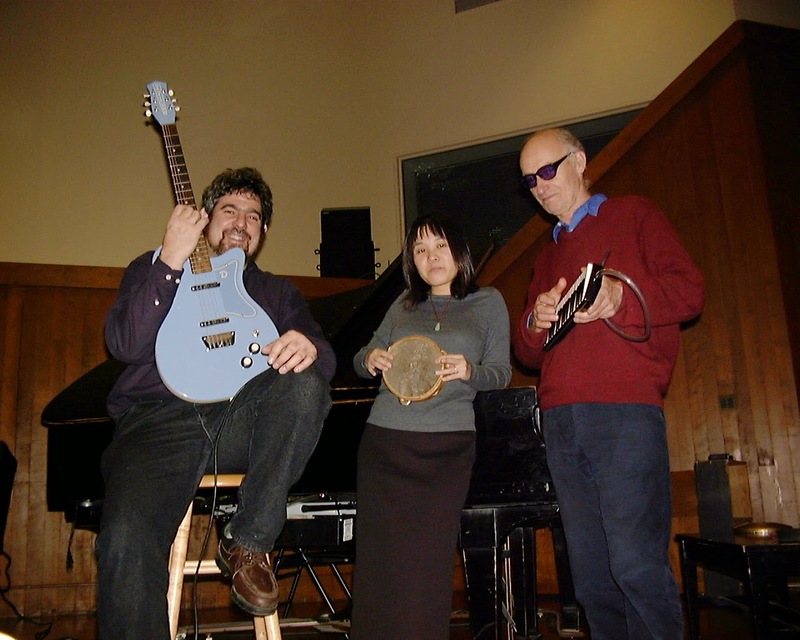 Christian Wolff with Trio (Larry Polansky and Kui Dong). Since that first phone call, our paths have crossed in various places, and I’ve mustered up (more) courage to write about him on occasion, about his activities in Europe, about his volatile Darmstadt seminars during the early 1970s, and about his connection to the Merce Cunningham Dance Company. Recently I’ve had the opportunity to read his collected writings (forthcoming, Oxford University Press), and I felt lucky to be able to call this person a friend, someone who has spent a lifetime (so far!) filling the world with thoughtful writing—both music and prose. Christian is rooted, burdock-like, in a rarified world rich with ideas—and the consequential actions those ideas suggest. He is beloved by many around the world who probably, in some part of their minds, still think of him as a promising youngster: The New York School’s little brother. Maybe he still feels that way himself. I haven’t ever asked him. But here he is at 80, traipsing around the globe with a backpack on his shoulder, a good mystery novel in one hand, and a melodica case in the other. He doesn’t seem a bit tired. and close friend, composer Larry Polansky, and designer Laura Grey. 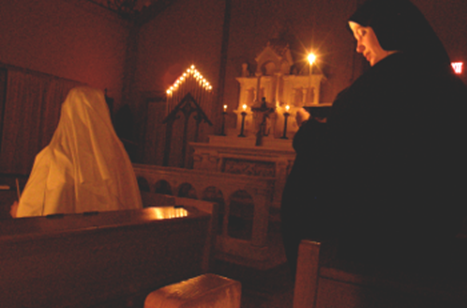 Note: Listening to Downton Abbey (part 1) is available HERE. Dame Nellie Melba’s performance of “Donde lieta usci” on Downton Abbey—performed by Dame Kiri Te Kanawa—thus drew upon the complex web of cultural meanings linking Mimi to Melba. On the one hand, the aria presents Mimi at the height of her fragility and vulnerability. Weakened by consumption at this point in the opera, she bids her lover Rodolfo a plaintive farewell after his jealousy has pushed their relationship to a breaking point. On the other hand, the aria invites us to hear and reflect upon Melba herself as a cultural icon—as an intriguing Australian outsider who used her considerable talents to reach the heights of social and artistic power in London, Paris, and New York. Nellie Melba as Desdemona in Verdi's Otello, 1924. Source: Nellie Melba, Memories and Melodies, p. 321. At a lavish house party thrown by the Grantham clan, Melba’s appearance promotes the notion that her music has the power to overcome Downton’s entrenched class- and gender-based hierarchies. After Lord Grantham and his butler Carson conspire to send a food tray to Melba’s room (Carson: “An Australian singer? Eating with her ladyship?”), Lady Grantham admonishes both men and forces her husband to sit next to Melba at dinner. Although at first reticent (“What does one say to a singer?”), Grantham quickly bonds with Melba over their shared taste for Haut-Brion. At Melba’s ensuing recital, featuring Dvořák’s “Songs My Mother Taught Me” and two Puccini arias (“O mio babbino caro” and “Donde lieta usci”), Lady Grantham takes special care to invite Downton’s servants and wait staff to attend the event. When Melba takes the stage, her singing appears to deliver Lady Grantham her hoped-for “special moment.” But in a shocking twist, music’s capacity to edify and to uplift is promptly shattered. 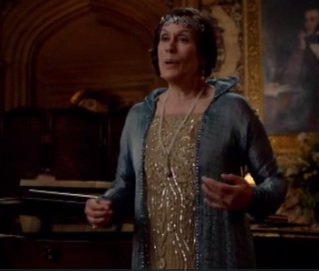 Kiri Te Kanawa plays Nellie Melba on Downton Abbey. Although the scene has generated a steady stream of outrage from fans and critics of the show, there has been little discussion of the way in which Melba and her most famous role contribute a disturbing sonic counterpoint to the sequence of events. Building upon a well–established cinematic trope in which opera’s aesthetic beauty is juxtaposed with on–screen physical violence, Melba’s recital both embraces and rejects the capacity of music to empower women and to effect social change. In this recent video, musicologist W. Anthony Sheppard (editor of the Journal of the American Musicological Society and department chair at Williams College) investigates how the musical, poetic, and cinematic elements work together to create the powerful impact of “Let It Go” in the Oscar-winning movie Frozen. The song was written by Williams College alumna Kristen Anderson-Lopez and her husband Robert Lopez and won the 2014 Academy Award for Best Original Song. From time to time your namesake used to publish her favourite recipes. Have you any? I am reminded of the holiday feast offered by the tenor Gustave Roger on December 23, 1848, to celebrate Meyerbeer's return to health (in time for the production of Le Prophète). 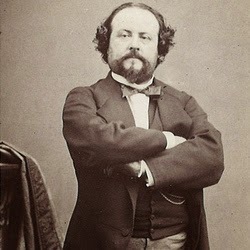 Among the invités were Berlioz, Dumas, Halévy, and Adam. The pièce de résistance was a salade Meyerbeer (see below). La postérité a droit aux œuvres du génie; et, en temps de révolution, un peu de cuisine, ça repose. Tout se met dans le saladier, par couches dans l'ordre ci-dessus, excepté les câpres, les betteraves et la fourniture qui se mettent dessus. Cet assaisonnement se fait dans un bol à part; on mêle bien le tout et on le verse sur la salade, bien également, religieusement, avec une cuiller, mais sans remuer. On laisse le tout reposer et s'imbiber trois heures, sans y toucher, ayant bien soin de le recouvrir d'un grand plat. On ne le remue qu'au moment de servir. Et maintenant, si on trouve plus tard cette recette dans mes mémoires, et qu on en plaisante, je m'en console: une salade pareille, c'est une partition, et on ne doit reculer devant rien quand on peut rendre service au pays. —Gustave Roger, Le Carnet d'un tenor (Paris, 1880), pp. 186-88. Cooking is a fine art in Paris, and has its crowds of connoisseurs and amateurs, and, consequently, its exaggerations, its fantacies, in short, its dilettanteism. The following is the receipt given for a salad by the famous tenor Roger, who had it served at a dinner given by him in 1848 to his friend Meyerbeer:-- "Take a balance," says M. Roger, who has just published the receipt, "assume the majestic attitude of justice, and mindful of the gravity of your mission, weigh without partiality or error the following ingredients:-- Reponce, the root cut into pieces, an inch long, and the leaves cut small, 57 grammes; celery, 115 gram. ; pickled gherkins, 65 gram. ; capers, 60 gram. ; pickled onions, 42 gram. ; white cooked beetroot, 70 gram. ; red cooked beetroot, 70 gram. ; truffles cooked, white and black, 100 gram. ; endive, heart only, 85 gram. ; Escarole, 150 gram. ; cabbage lettuce, heart, 30 gram. ; white haricot beans cooked, 130 gram. ; green French beans cooked, 85 gram. ; anchovy, 90 gram. ; turkey wheat, estragon, or capucines, 35 gram. ; one long pepper pickled, "as big as a nut" (a capsicum); cauliflour, boiled, 70 gram. ; potatoes, boiled 150 gram. ; herbs,-- tarragon, cerfeuil, and pimpreuelle, chopped fine, 25 gram." The above was calculated for fifteen persons. The ingredients are to be placed in a bowl in the order given in the above receipt, the capers, beetroot, and herbs, are to be laid on the top. The mixture for the salad is given as follows:-- 2 teaspoonfuls of Bordin mustard; 1 tablespoonful of pepper; 1 dessertspoonful of salt; 9 tablespoonfuls of tarragon vinegar; 11 tablespoonfuls of olive oil of Aix. This is to be carefully mixed and finally sprinkled equally over the salad with a spoon; the whole is then to be covered with a plate, and left to stand for three hours, the salad to be turned over and mixed at the moment of serving only. This salad is better even on the second day than the first, says M. Roger, only none of it is ever left! "A salad like this," adds M. Roger, "is a grand harmony, and one should hesitate at nothing which can render service to our country. Posterity has a right to the works of genius." Now this has certainly more the air of an elaborate joke than anything else, but it is not so. The salad in question is known as La Salade Boursault, it has received the high enconiums of the late Alexandre Dumas, a famous gourmet, and it was only in honour of his celebrated guest that M. Roger called it La Salade Meyerbeer. <1>Raiponce = Campanula rapunculus, widely cultivated in 19th-century France for its salad leaves and roots. Rapunzel is named after the plant.